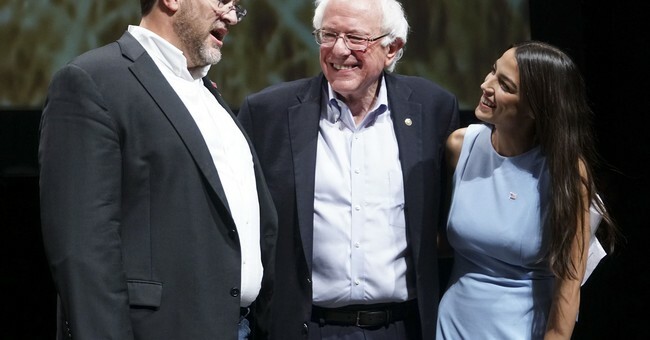 It was a big week for socialism — or, rather, anti-socialism. The high point was President Trump’s State of the Union Address, in which he opposed not only the murderous, ruinous regime in Venezuela, but also the rising tide of socialism in the Democratic Congress. Senator Bernie Sourface, er, Sanders, tried not to explode as he heard that taboo word “free” applied to America . . . not goodies. Sanders pulled himself together, eventually, but not after caught on camera in an extended harrumphing scowl. Alexandria Ocasio-Cortez did the usual AOC things. The self-professed socialist has already become her own cliché. “Panera Cares” was the upper-crust fast-food chain’s capitalism-with-a-progressive-face front, an attempt to “serve food to low-income people.” Started in 2010, the idea was to “sell” goods on the honor system. Now, in some contexts, this kind of thing can work. But not in a wide-open-to-the-public context. “Pay what you can”? Well, most of us could pay more for the goods we buy. And we would, if we had to — for the most valued goods, the necessities. But that would mean not buying other things. So our desire for “deals” works out, making producers compete with each other to keep quality up and prices down. Having one producer ask us to pay “what we can” regardless of other options is . . . incoherent. It ignores the wider reality. All of us would like to pay as little as we can get away with — and that is a good thing. The one exception to this is when we regard our purchases as acts of charity. But we limit our charities to a small circle of family and friends, most of the time, for good reason, too. Giving to charity “what we can,” for example, has a tough upper limit. Each of us could give everything we have away — and would then have nothing else to give, be unable to meet our obligations, and . . . we ourselves become charity cases. “Pay what you can” cannot work writ large. It should surprise no one that no branch of the Panera Cares “experiment” ever ran in the black. Not unlike experiments in society-wide socialism, the notion relied upon subsidy to carry on — but unlike in socialism, Panera could not force people to cough up the dough needed to keep it going. It really is a kind of “voluntary socialist” notion — a fish out of water. For socialism does indeed work, to a limited extent, in families, churches, small communities, kibbutzim. It does not work outside of the confines of communities that can, by sympathy and shame and honor, constrain normal consumer behavior without resorting to force. No matter what face Sen. Bernie Sanders places upon the hoary farrago of wish and nonsense, and no matter how chipper and cute Rep. Alexandria Ocasio-Cortez appears as she floats absurdities like her “Green New Deal,” socialism won’t make us all better off, and it won’t save America. It is grand illusion and destructive force. For yes, all you little Schmollers out there, there are laws and limitations to the way society works, and dreams that cannot work always end up, when tried, as nightmares. “Free stuff” does not make for “free people.” And scowling at Trump for saying so does not make that truth disappear.